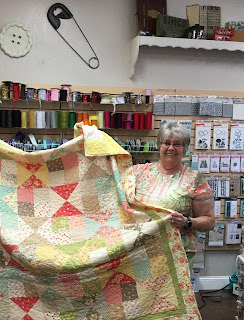 My friend Edy came to visit and surprised me with this beautiful quilt. Seems turning 70 has it's true benefits. I love the color yellow and Edy could not have picked more beautiful colors. THANK YOU SWEET FRIEND! I will cherish this quilt always. And yes, she made me promise I would use it, not just cherish it....so I promise, I will. 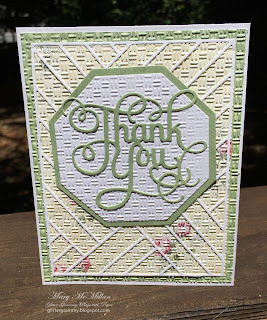 I embossed the background, used a "quilt type" die to make it appear like a quilt. I added a few more dies to finish the front of the card. Here's the inside. 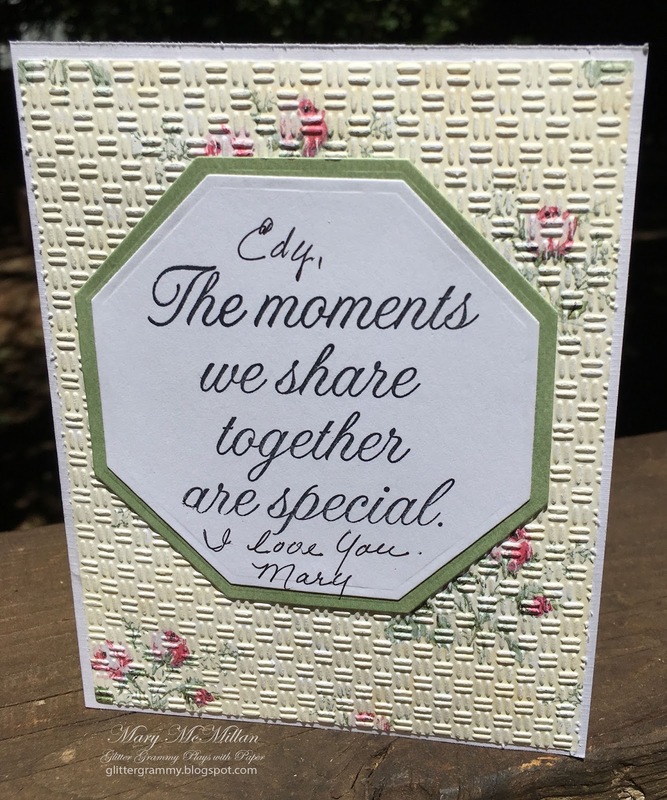 I always try to bring some of the elements from the front of my cards into the inside. I think I probably managed that....don't you? 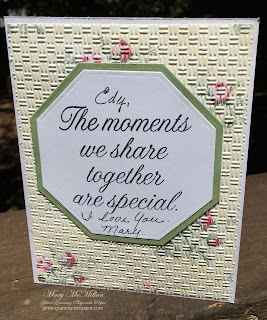 Certainly not a quilt, but tons of love is embossed into these papers. Off I go. Enjoy your day and I hope it finds you able to do a bit of crafting. How lovely that your friend made this quilt especially for you. A fabulous birthday gift. Your quilty card is perfect to say thank you to her. Hugs Mrs A. Thanks Mrs. A. She is a special friend and I am so very appreciative.